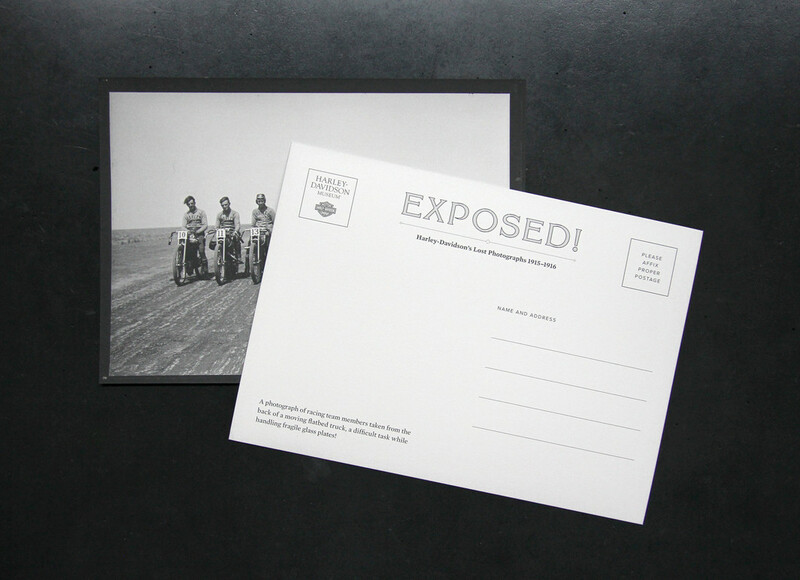 Front and back of postcard. Photograph of race team members taken from the back of a moving flatbed truck. 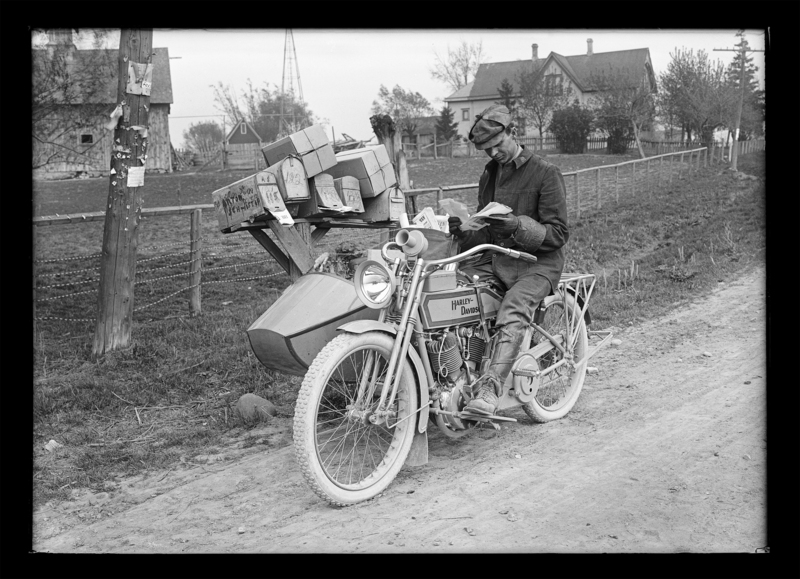 Sidecar rigs were a popular and practical choice for Rural Free Delivery. 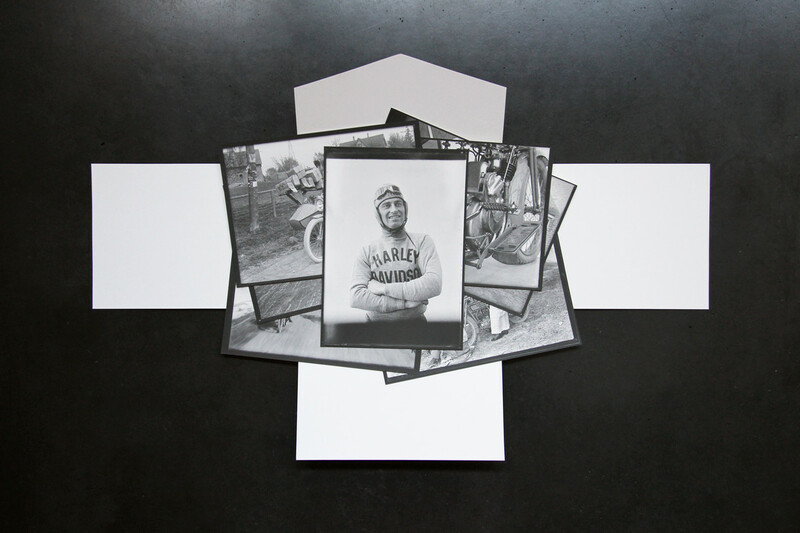 In collaboration with the Harley-Davidson Archives, Belle & Wissell designed a limited-edition package and postcard set to highlight a rare and iconic collection of photographs recently rediscovered by the Harley-Davidson Archives team. 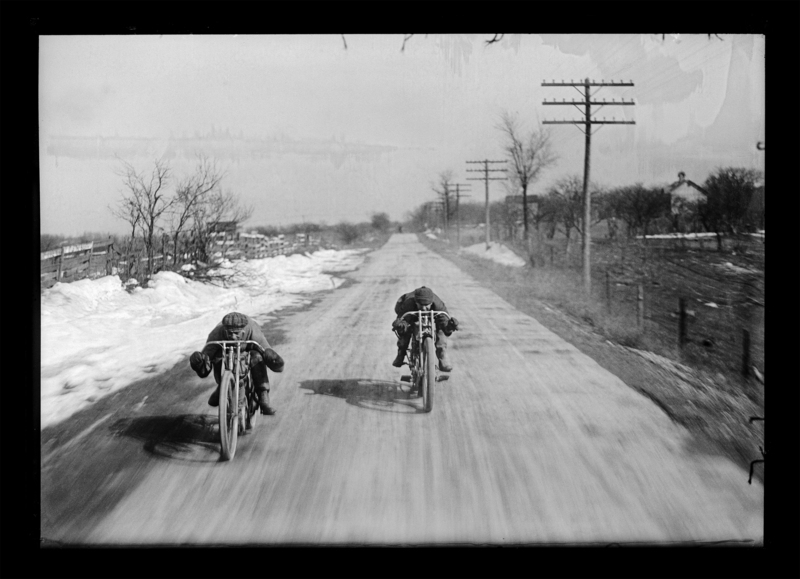 Discovered in storage at the Milwaukee County Historical Society, the complete collection contains over 400 glass plate negatives dating from 1915-1916. 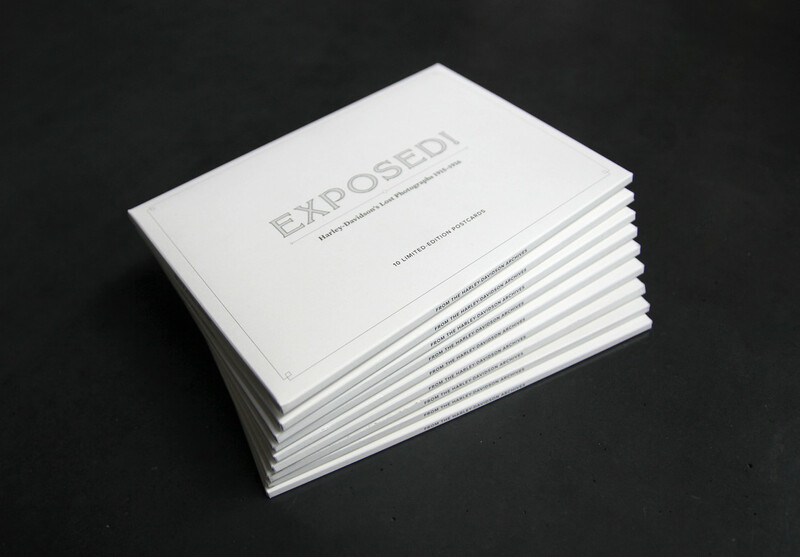 The Exposed! 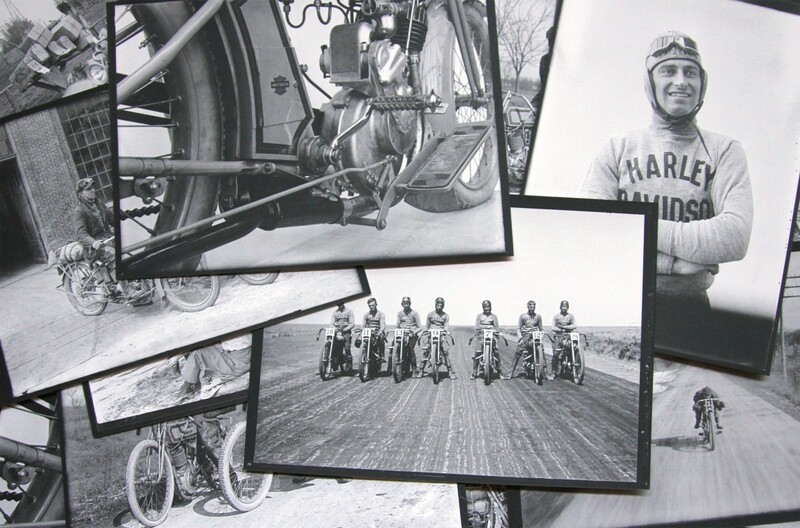 postcard set serves as a time capsule of the early years of growth and innovation for the most iconic name in American motorcycling.